It is an easy place to reach; the problem has always been returning home. From most world capitals, airliners will take you to Athens, Greece, and from there a short flight north will get you to Thesprotia in the region of Epirus. Locals will be happy to point you in the direction of the cave known as Charonium, one of the gates to our destination. Do not forget to bring a gold coin or two to pay the ferryman, Charon (yes, you guessed where his name comes from). Once on the river Styx, at the bifurcation, do not take the road to Elysium (appropriately for our story, in Greek mythology, heaven was actually in the underworld as well); keep going. Hades’ most appropriate metaphor for cancer control in low-resource settings in both rich and poor countries alike is Tantalus. Here, there is water to quench your thirst and sweet fruit to satiate your hunger. But try to bow down and drink or stretch your arm to pick an apple, and the water will seep through the rock while the branches move away. Close enough, but always tantalizingly out of reach. Such is the current situation in resource-constrained settings when we fight for cancer control. The last few decades have been brimming with major breakthroughs in care initiatives including novel immunotherapy options, molecular testing, targeted therapies, greater public awareness, and improved national cancer control plans. Nonetheless, a significant disparity in the accessibility to care among various socioeconomic settings exists. For those among the low- and middle-income strata, these advancements remain an aspiration. This editorial focuses on health disparities using specific countries across the income spectrum to highlight the challenges encountered by health officials, physicians, and patients at each level. Multiple definitions for health care disparities have been proposed; however, the consensus put forward by Healthy People 2020 offers a nicely rounded description. The Healthy People 2020 program defines a health disparity as “a particular type of health difference that is closely linked with social, economic, and/or environmental disadvantage.”1 It includes differences among the most advantaged group in a given category, such as the most wealthy or powerful, and all others, not only between the best- and worst-off groups. Furthermore, inherent in this designation is that those disadvantaged social groups who persistently experience social discrimination systematically experience worse health or greater health risks than their more advantaged social counterparts. Pursuing health equity implies pursuing the elimination of such health disparities and inequalities. Per the Union for International Cancer Control (UICC), cancer control is defined as “a public health approach aimed at reducing the burden of cancer in a population.”2 This concept includes the planning of integrated, evidence-based, and cost-effective interventions across the cancer continuum, including research, prevention, early detection, treatment, and palliation. Access to medications, surgery, and radiation therapy is cost-prohibitive. Kenya’s oncology drug list consists of only 18 of the 52 essential cancer medicines outlined by WHO.7 Chemotherapy is available, but because of the high cost of drugs and lack of coverage of the cost of cancer treatments by the National Hospital Insurance Fund, it is inaccessible to most. This quandary also extends to narcotic agents, making pain control a major obstacle. Use of other complimentary services is also curtailed by cost restraints. Kenya has only two cobalt radiation machines for patients with public health care, with appointments booked for several months in advance. For patients with private health care, there are four linear accelerators in Nairobi, with prompt initiation of therapy for those who can afford it. This lack of resources is compounded by limited education and exacerbates the difficulty in accessing efficient health care. In 2011, the National Cancer Prevention and Control Programme stipulated provisions to making preventive, curative, and palliative care services accessible to all Kenyans.7 Unfortunately, such an undertaking proved overly ambitious; screening occurs only in a few selected sites, rather than as a cohesive national program. Access to cervical, breast, and colon cancer screening is also impaired because of a lack of community awareness on the importance of screening, as well as low levels of health literacy. Other contributing factors include inadequate skill among service providers, lack of equipment and supplies, and scant monitoring. As is typical of many middle-income countries, health policy and resources are primarily focused on communicable diseases. The most common cancers are breast and cervical—malignancies that can be prevented or detected early, benefiting from the implementation of dedicated vaccination and screening programs. Cancer-related mortality is the third most common cause of death in Kenya.7 Circumstances such as inadequate public education and awareness, scarce oncology services, and poorly trained personnel, compounded by low prioritization by political parties have resulted in these inferior outcomes. Brazil is an upper-middle-income country, with a population of 200 million, a GDP per capita of $8,650 (in 2016), and a general life expectancy of 70 years for men and 77 years for women.7 Total health expenditure accounts for about 9.3% of the GDP, with 46% of this in the public sector. Sistema Único de Saúde is a public, tax-funded health scheme that covers the population; however, about one-quarter of the population still subscribes to private medical insurance. Brazil instituted a national cancer control plan in 2005, with a heavy emphasis on public education and screening. Smoking, as well as its advertising, is banned in public places, federal policies have been implemented to combat obesity and the harmful effects of alcohol. HPV and hepatitis B vaccines are freely available. Additionally, screening for both cervical and breast cancers has been advocated, and protocols comply with standard international guidelines. Despite implementation of these initiatives, there are still significant problems with access to cancer care. For instance, the average time between mammography and diagnostic biopsy is 72 days.7 Or, in the case of patients diagnosed with oral cancer, it takes an average of 41 days to commence treatment. Traditional imaging and surgical and pathology services are available, but delays are common and molecular analyses are not always available. Similarly, while there are more than 250 radiation machines in the country, access is limited based on geography and income, and wait times can be up to 3 months. Policies differ in terms of the provision of anticancer medicines. The Brazilian essential medicine list is mostly congruent with the WHO essential medicine list.7 Moreover, once a drug is approved by the local regulatory agency, coverage is mandatory in the private health care system. As such, citizens (usually the more affluent) can sue the federal government for access to cancer medications. This creates the conundrum where distribution of scarce resources in the public system becomes imbalanced in favor of those belonging to higher socioeconomic levels. Brazil is a model for health care in middle-income countries. Execution of screening programs and public education emphasizing risk reduction strategies constitute the mainstay of their cancer control plan.7 Establishment of this basic health care system has resulted in improved outcomes and decreased cancer mortality over the past decade. Nonetheless, challenges still exist with the distribution of resources among various social echelons, as well as geographic locations. Also, the routine acquisition and implementation of advanced technologies and medicines continues to be a struggle. The United States is a federal presidential republic with a population of 323 million, as of 2016.7 The GDP is $15 trillion, establishing it as a high-income country. Health care accounts for 17% of the GDP. Both public and private financing contribute to the health care system, with up to 65% of funds sourced from the government. The life expectancy is 76 years for men and 81 years for women. The annual incidence of cancer is just over 1.6 million cases, with a mortality-to-incidence ratio of 0.36. A national cancer control plan has been implemented since 2010.7 Similar to Brazil, smoking is banned in indoor public places, and policies are in place to prevent obesity and alcohol abuse. Screening for preventable cancers, including cervical, breast, and colon, is widely available. Hepatitis B and HPV vaccinations are ubiquitous, and there is increased public awareness regarding vaccinations, with 91% and 32% of the target populations being vaccinated, respectively. Advanced imaging, surgical services, and pathology are also available, as are radiation services, with more than 2,700 machines nationwide. Novel and inherently more expensive chemotherapeutic agents are accessible through health care coverage. Despite the high-income standing of the United States, socioeconomic status, access to health care services, and individual behaviors continue to adversely affect health care equity. The highest cancer incidence rate among men is observed within the black community.7 Overall rates are 15% higher than those of whites and nearly twice the rates among Asians/Pacific Islanders. Conversely, non-Hispanic and white women have the highest overall cancer incidence rates among females. These disparities among racial groups are also reflected in the all-cancer mortality rates. The highest rate is noted among non-Hispanic blacks (208.8 per 100,000 population), followed by whites (176.5), Hispanics (119.7), and Asians (108.9). Although considerable emphasis is placed on the role of finances on health care initiatives, high-income countries still face the challenge of ensuring equitable distribution of resources among their population including minorities and vulnerable groups. Additionally, with the landscape of oncology shifting toward targeted therapies and biologic agents, the cost of these agents must be factored in when attempting to deliver equitable care. Low-Income Countries—Prevention and risk reduction should be the primary focus via the establishment of a national cancer control plan and database to track trends in disease patterns. Additionally, investment in basic health care infrastructure and education, as well as efforts to expand coverage to remote areas, is paramount. Middle-Income Countries—Investment in prevention and early detection programs should be the objective. Access to basic pathology, imaging, and other ancillary services, as well as striving toward compliance with the WHO Model List for Essential Medications, are also pivotal for progress. High-Income Countries—Capitalizing on advancing interventions and services should form the backbone of care at this level. These include, for example, genomic assays, higher-resolution and nuclear studies, and advanced radiation and surgical techniques. Also, with the continuum extending to include more innovative and consequently expensive medications, efforts should extend to make these available nationwide and to all persons regardless of minority or economic background. Notwithstanding the obvious disparities highlighted here, basic challenges persist that are common among all strata of socioeconomic standing. Poverty has been a relentless obstacle to receiving cancer care.7 This prevents people from practicing good lifestyle habits and accessing preventive and curative medical care promptly. Cancer care financing is a global challenge. In high-income countries, the high cost of new treatments is straining the system while LMICs struggle with the cost of providing the minimum set of cancer prevention and treatment services for the majority of their population. Cancer treatment is often multifaceted, including the need for readily available and high-quality pathologic and imaging studies. Treatments often include a careful mixture of surgery, radiation, and chemotherapy, followed by a long period of follow-up. The typical health care coverage that is available is not always able to accommodate these expenses, causing patients to forfeit some components of their care. The distribution of screening and treatment centers are not always even within countries because of funding and geography. Accessibility to cancer care is often worse in rural compared to urban communities, regardless of the income level of the country. The Institute of Medicine, the Global Task Force on Expanded Access to Cancer Care and Control in Developing Countries, WHO, and other groups have created frameworks detailing the most important stepping stones in improving the fight against cancer.7 Some of these include establishing universal health care coverage, creating national cancer registries and data repositories on risk factors and treatment outcomes, providing tobacco control programs, vaccinating against the most common viruses that cause cancer, creating reference cancer centers, ensuring access to essential cancer medicines and palliative care, and other steps detailed throughout this review. That being said, economic growth may be the ultimate remedy in the long run. Middle-income countries have been at least partially successful through measures such as tax-funded health care; however, their low-income counterparts may require international support to achieve these targets. The financial impact of cancer across all socioeconomic levels has been demonstrated ad nauseam, particularly to those in low-income countries. Consequently, from both an economic and a pragmatic standpoint, it is pivotal to invest in measures to alleviate this burden. This task would entail the consolidated effort of governments, private stakeholders, and nonprofit organizations. Furthermore, from a humanistic standpoint, all endeavors should be made to curb this suffering. Following the United Nations summit on noncommunicable disease in 2011, the worldwide plight of cancer has come to the forefront in global public health.7 Indeed, it will take a global initiative to have these ambitions brought to fruition. Like Orpheus, son of Apollo and the muse Calliope, we must venture into the underworld to rescue cancer control in underserved areas, our Eurydice, from the reign of Hades. Let us not look back lest our dream vanishes in front of us before we reach our goal. Dr. Ali is a hematology-oncology fellow at the University of Miami and Sylvester Comprehensive Cancer Center. Dr. de Souza is an oncologist with the University of Chicago. Ms. Hunt is an epidemiologist with Sinai Health System. Dr. Asirwa is an assistant professor of clinical medicine with Indiana University School of Medicine. Dr. Adebamowo is the associate director for population science with the Greenebaum Comprehensive Cancer Center and professor of epidemiology and public health with the University of Maryland School of Medicine, Baltimore. He is president of the Society of Oncology and Cancer Research of Nigeria. 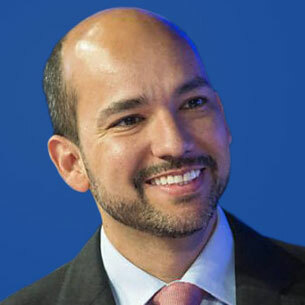 Dr. Lopes is a medical oncologist, medical director for international programs, and associate director for global oncology at the Sylvester Comprehensive Cancer Center. He is the editor of the Journal of Global Oncology. Disparities. Healthypeople.gov. healthypeople.gov/2020/about/foundation-health-measures/disparities. Accessed January 25, 2018. National Cancer Control Planning (NCCP). Union for International Cancer Control. uicc.org/national-cancer-control-planning-nccp. Published May 13, 2014. Accessed January 25, 2018. Investing in Cancer Prevention and Control to Reduce Global Economic Burden. ASCO Daily News. May 5, 2015. GLOBOCAN 2012: Estimated Cancer Incidence, Mortality and Prevalence Worldwide in 2012—All Cancers (Excluding Non-Melanoma Skin Cancer). International Agency for Research on Cancer. globocan.iarc.fr/Pages/fact_sheets_cancer.aspx. Accessed January 25, 2018. Cancer Fact Sheet. World Health Organization. who.int/mediacentre/factsheets/fs297/en. Published February 2017. Accessed January 25, 2018. The World Bank. The World Bank in Kenya: Overview. worldbank.org/en/country/kenya/overview. Updated October 10, 2017. Accessed January 25, 2018.
de Souza JA, Hunt B, Asirwa FC, et al. J Clin Oncol. 2016;34:6-13.